This year Adventure Bike Rider are promoting Europe’s greatest riding routes as featured on the TomTom Rider 410 Great Rides edition. 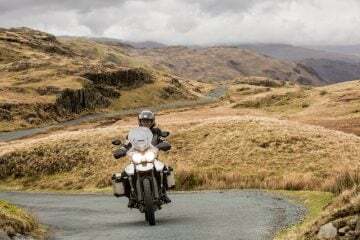 These 100 routes come pre-installed on the SatNav, but we’re breaking them down into chunks of 10 and we’ll also select our favourite rides to show in greater detail. 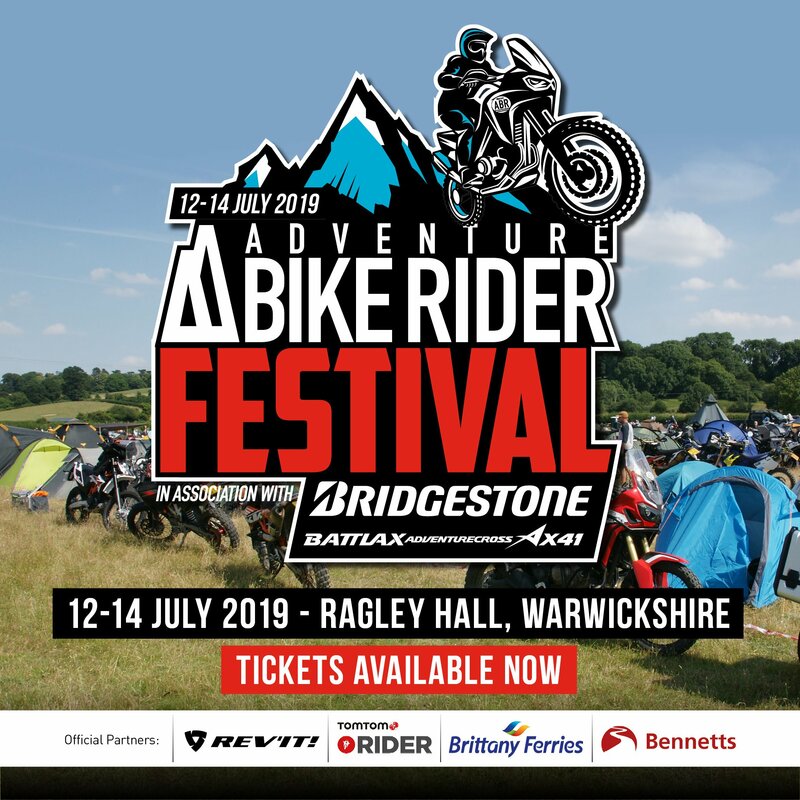 But, here is the best bit, we’re offering you the chance to get your favourite route featured in an issue of Adventure Bike Rider, plus have it pre-installed on the TomTom Rider. And that’s not all, there’s also the chance to win a TomTom Rider 410 Great Rides edition. To get involved, all you need to do is email bryn@adventurebikerider.com and let us know your all-time favourite European ride, and why. We’re gathering the best answers throughout the year and in 2017’s November/December issue, we’ll feature 20 of the best user-submitted riders. Kicking the competition off, we had the Fjordland ride through Norway. 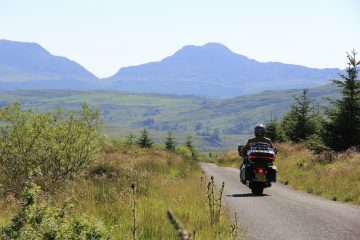 This time we’re sticking a little closer to home, with an equally stunning ride through the Midlands and North Wales. Sometimes we don’t realise just how lucky we are. On our small islands we have some of the best riding going, through such varying terrain and on, generally speaking, great quality roads. 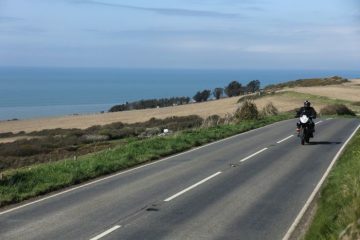 Having ridden most of the UK in the past few years, I’ve been amazed just how much there is to explore, especially when I thought I have already seen much of what our great nations have to offer us. 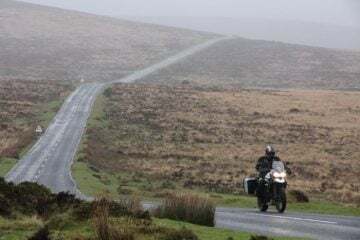 The 10 routes below will take you through the best riding areas that the UK has to offer, whether it’s mutli-day tour through Scotland, which tackles the Cairngorms, the Highlands and the best parts of the NC500, or a shorter day out exploring the beautiful Ring of Kerry in Ireland, there really is something for everyone. 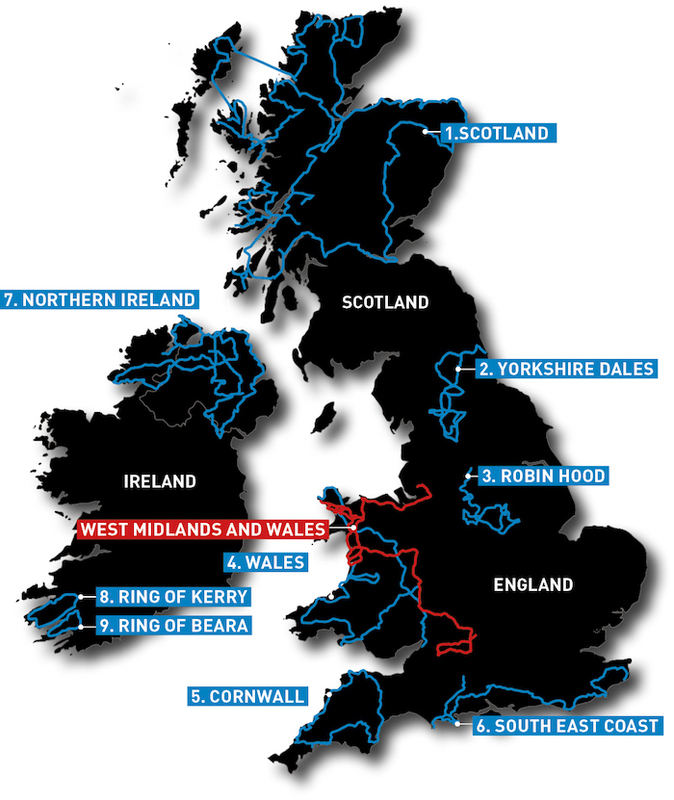 But the route I wanted to highlight is this fantastic ride through the Midlands and North Wales. Starting near Swindon, the journey will take you through the picturesque rolling hills of the Cotswolds, dropping you into the historic spa town of Bath. From here you head north, once again enjoying the roads of Britain’s largest Area of Outstanding b Natural Beauty, before skirting around Gloucester and Ross-on-Wye. We follow the River Wye north from here, running parallel to the Welsh border, before taking some time to explore the Shropshire Hills Area of Outstanding Natural Beauty. Before long we dive into Wales, riding he twisting and turning A458 from Welshpool, rising into Snowdonia National Park. At the Cross Foxes Inn the scenery becomes incredible as we follow the A487 in to Machynlleth, the imposing slopes of Cadair Idris rising from the side of the tarmac. 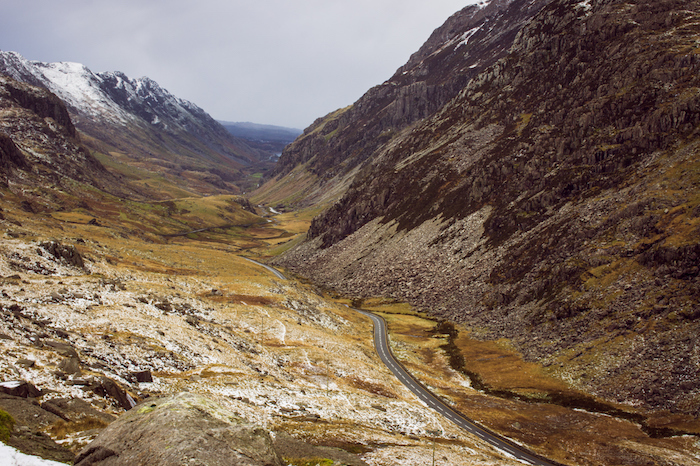 The going from here is simply incredible as we take in the best roads and views that Snowdonia has to offer, such as the Llanberris Pass, which is pictured here, before heading back to England and our finishing point near Wigan. 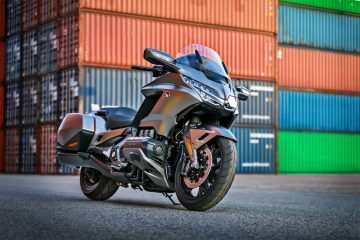 NB: These 100 routes come pre-loaded on the TomTom Rider 410 Great Rides edition (SRP £349.99), TomTom’s latest TomTom Rider SatNav. The Rider 410 also offers lifetime TomTom services, full world mapping and real-time TomTom Traffic and speed camera updates. For more information, click here. Remember! We’re offering our readers the chance to get their routes included in the ABR magazine, as well as FREE TomTom Rider 410 Great Rides edition SatNav. To enter, simply tell us what your favourite European Route is, and why. 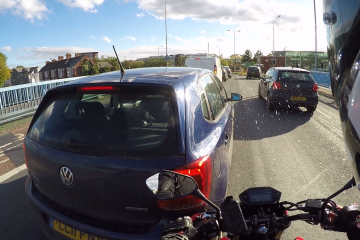 Send entries to bryn@adventurebikerider.com.